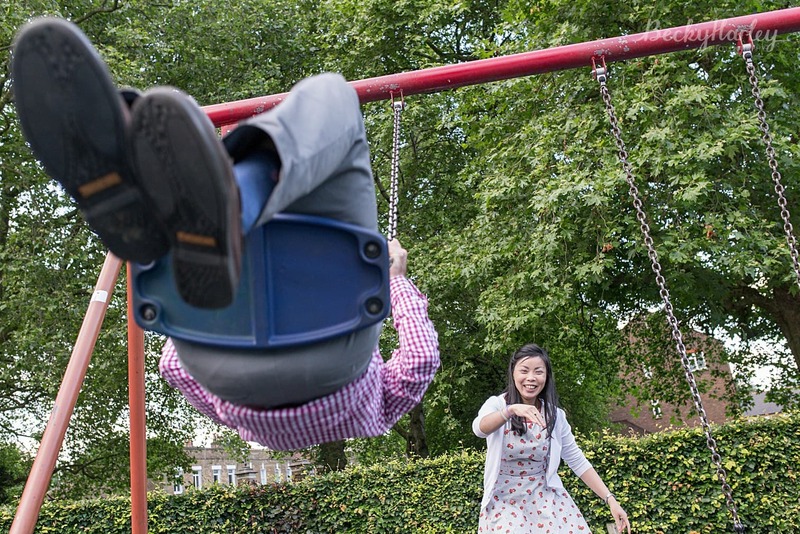 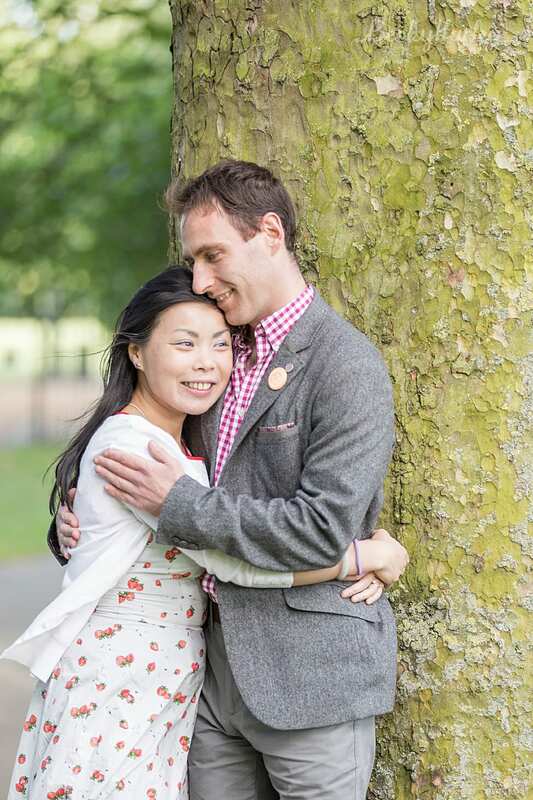 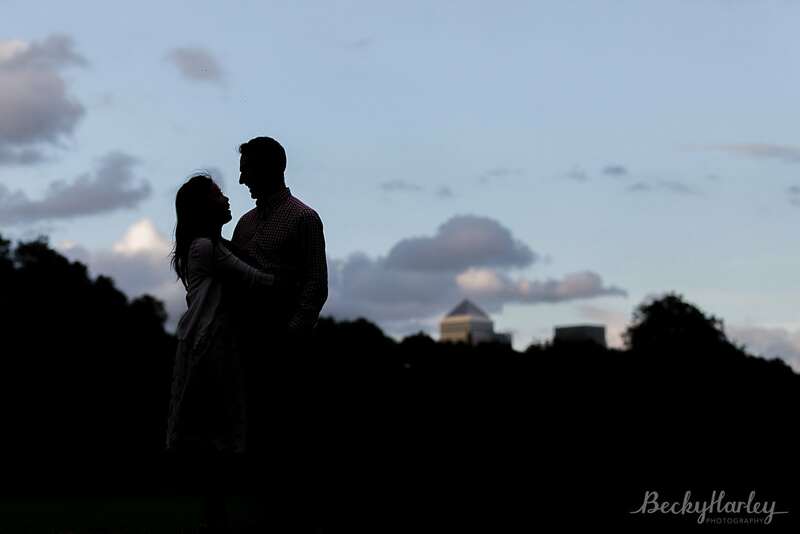 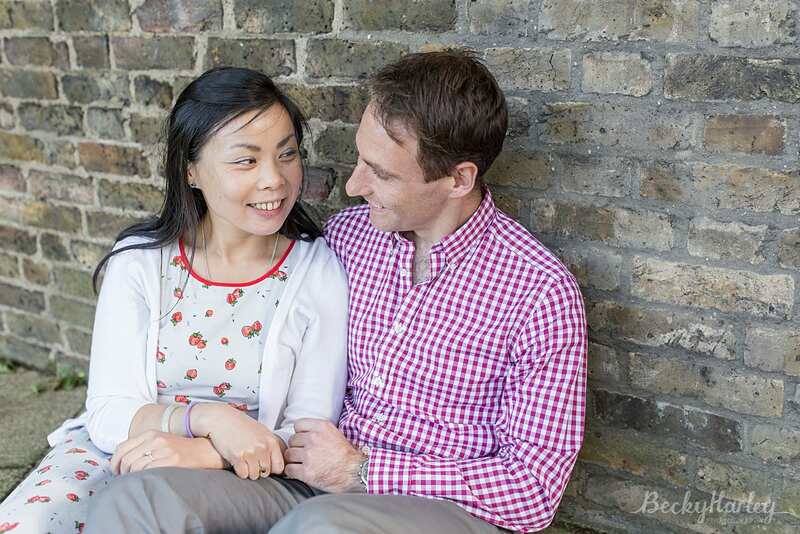 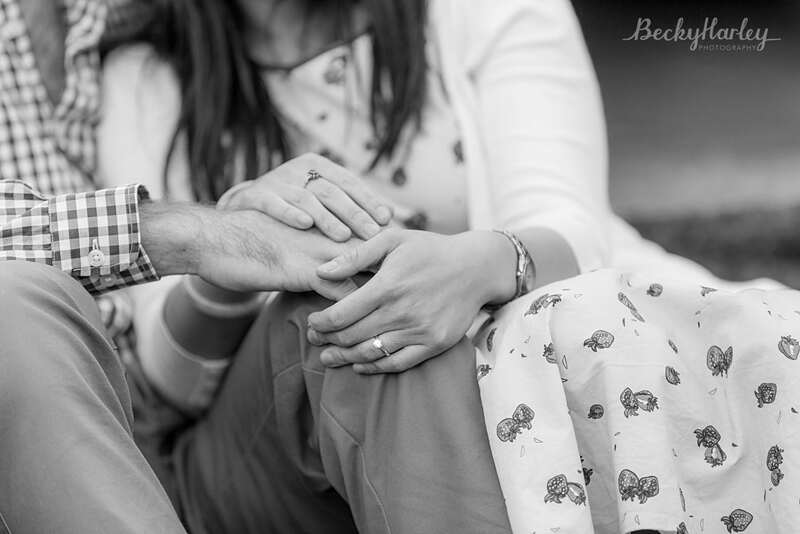 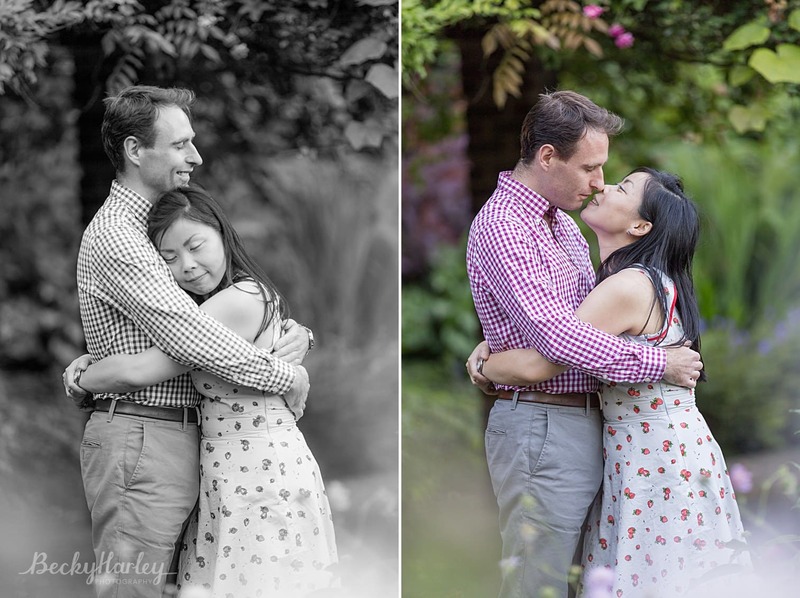 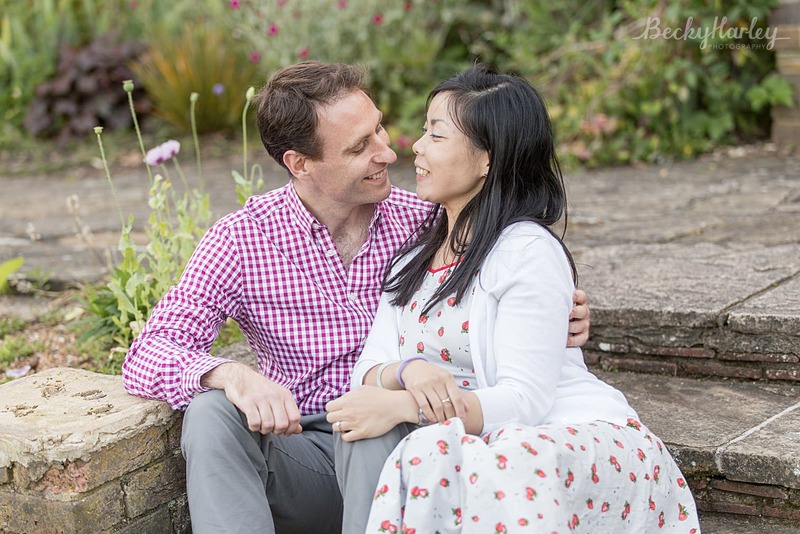 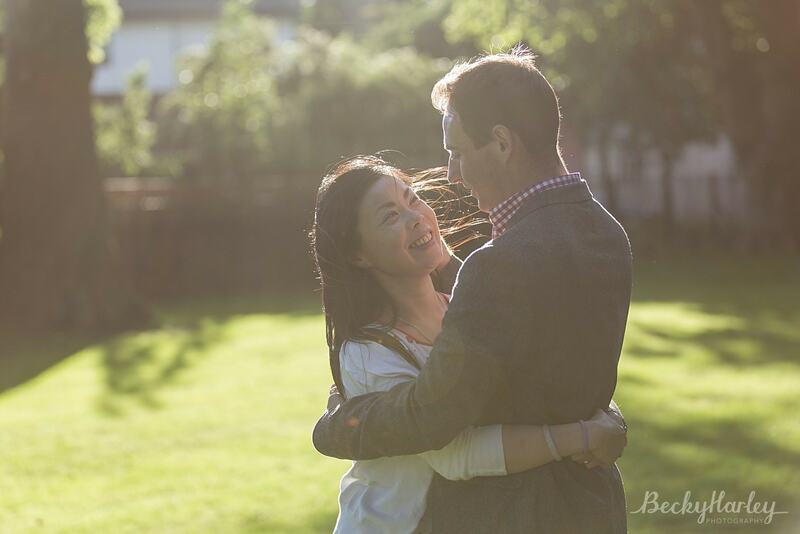 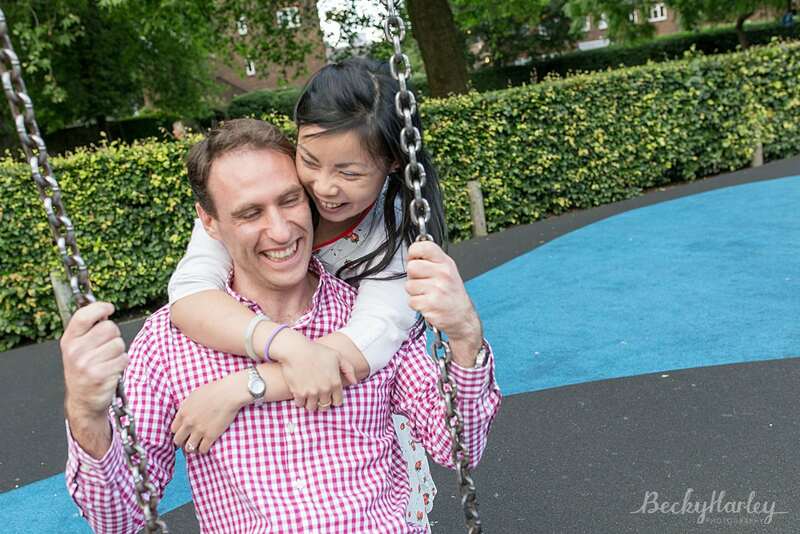 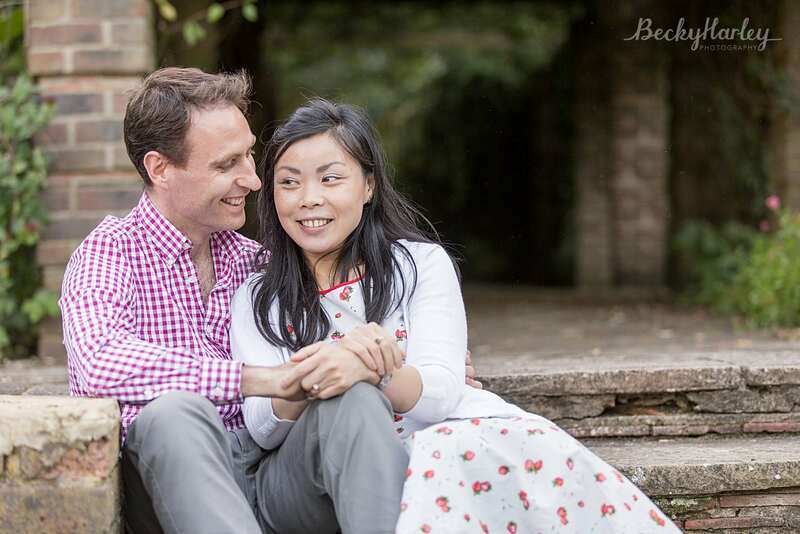 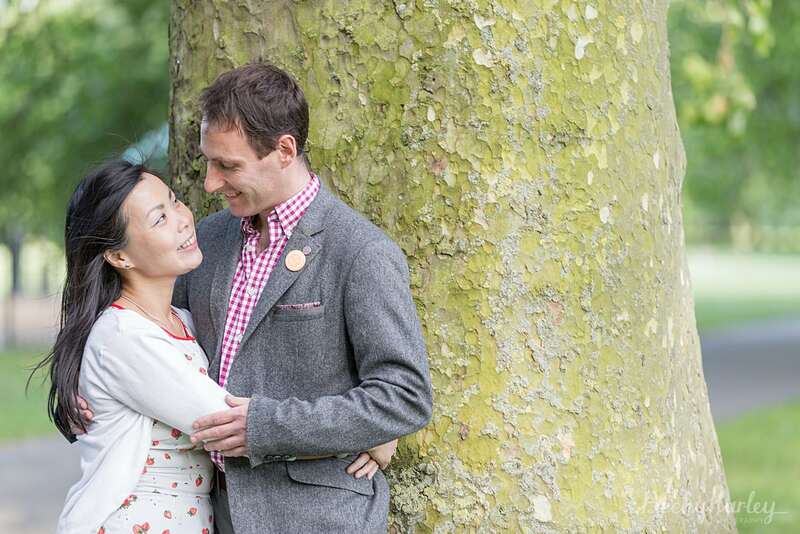 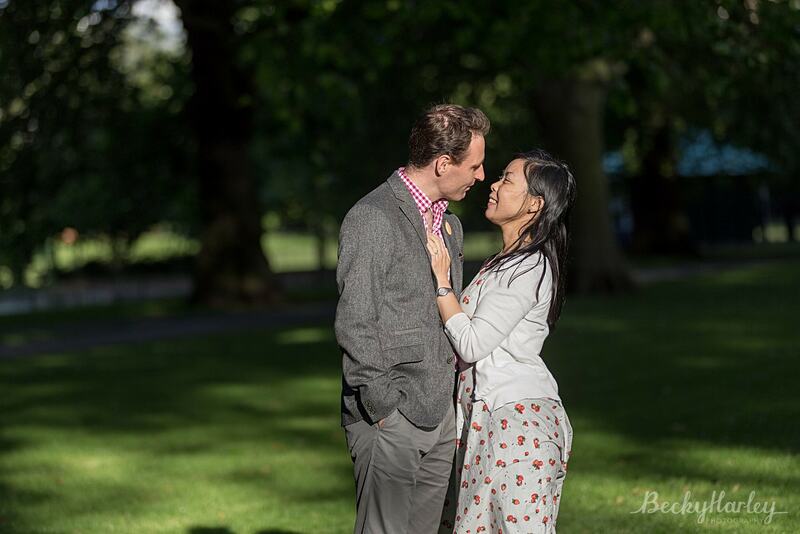 I spent the evening with the lovely Tim and Ah-Lai for their engagement shoot in Southwark Park earlier this year. 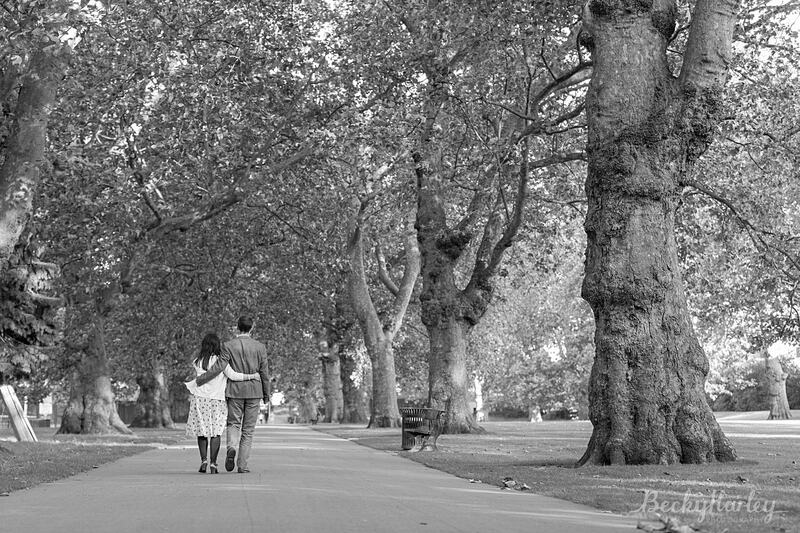 The weather had looked a bit touch and go as I jumped on the train to take me to London, with huge black clouds rolling into the skies over Kings Cross, but as I emerged from the underground south of the river and walked towards our meeting point, the clouds cleared and I was greeted with some beautiful sunshine! 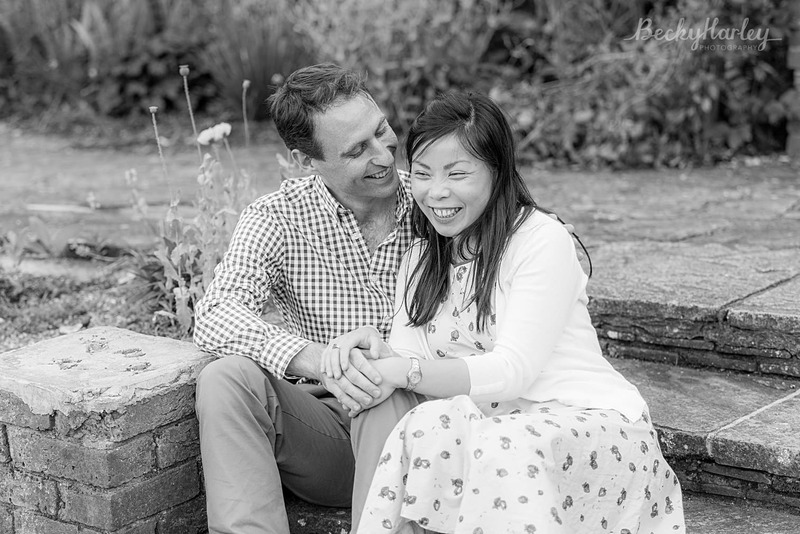 I enjoyed our wander about and Tim and Ah-Lai were very relaxed and chilled out in front of the camera. 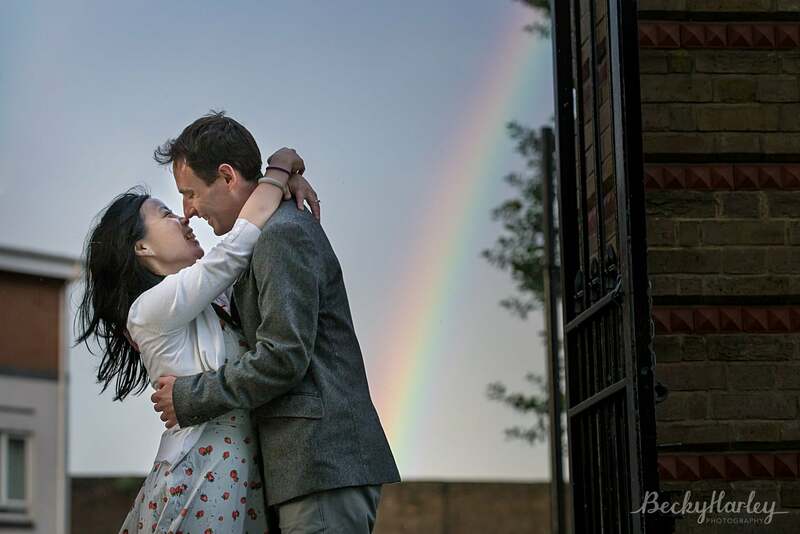 We did get a bit rained on towards the end of the shoot, but that was more than made up for by the stunning evening light and rainbow just as we left the park! 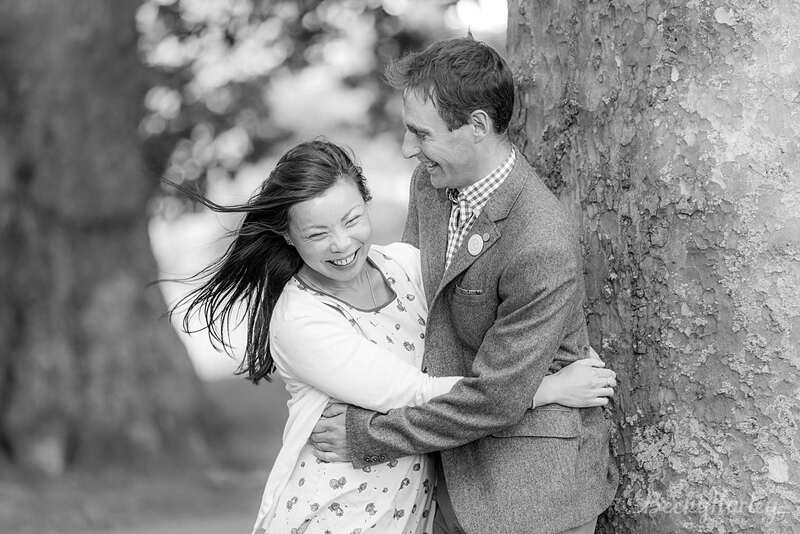 I was even treated to a crisp gin and tonic afterwards! 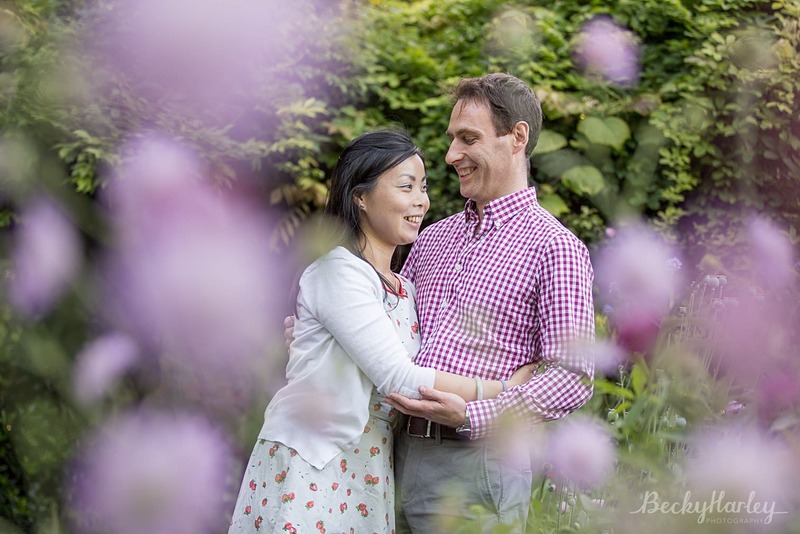 I had a great time with this lovely couple and it was great to hear all about their story – how they met and how they got engaged – I can’t wait to document the next chapter for them next year!